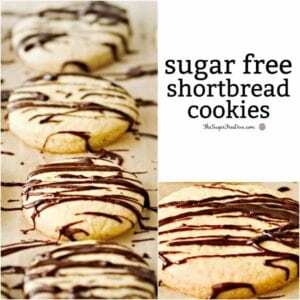 Sugar Free Shortbread Cookies could be my favorite holiday cookie ever. This is the cookie that I will put into my cookie gun before any other cookie. I know that shortbread cookies really are more about the butter than anything else. However, shortbread do normally contain a bit of sugar as well. While I would probably never cut back on the butter, at least during the holiday season, I would cut back on the sugar. There is a lot that you can do with a shortbread cookie recipe. Obviously, you can simply roll or press the dough into the shape of your choice. As I mentioned, I love putting my shortbread dough through a cookie gun. I probably should mention that a cookie gun is a cookie press. You can find cookie guns/presses on Amazon if you do not have one. Using one of these can really help you achieve a more festive or more professional looking cookie. The truth is that shortbread cookies really are a pretty simple cookie to make. A basic shortbread cookie recipe has four to five ingredients depending on whether or not you add salt. You could also use salted butter to get some salt into the cookie. This success of this cookie rests in the butter and how soft your butter really is. I should also mention that this is an egg-free cookie. This is great news for anyone who follows an egg free diet. You could also make this recipe vegan by substituting in a vegan butter alternative for the butter. Your vegan cookie may not have that buttery taste and the texture may vary as well depending on what you are using. However, as a result, you will get that vegan shortbread. Using a butter flavored coconut oil is one way to achieve this. You can find butter flavored coconut oil on Amazon. This would also be my favorite cookie to drizzle chocolate over. When I use a cookie gun to form the cookie and drizzle melted chocolate over it, my cookies look like they came from a bakery. This is such an easy cookie to get that bakery-made cookie with. Besides drizzling melted chocolate over your cookie, why not try one of these ideas. 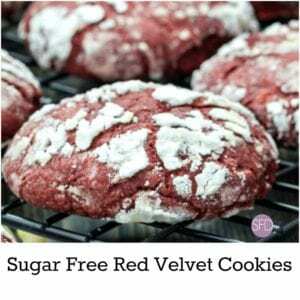 Also, this cookie can be made gluten free or low carb as well as sugar free. 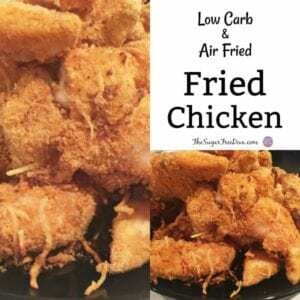 Simply sub in equivalent in low carb or gluten free similar product . Here are those ingredients that you will need to make the basic cookie. The sugar alternative to use will be your choice, preferably in a granular formula that has a texture like real sugar. You will need to use the equivalent of that alternative that is equal to one cup of sugar. Softened Butter- 3 sticks (3/4 lb). If using salted butter, omit the salt listed in this recipe. Use 3/4 lb equivalent in vegan alternative. 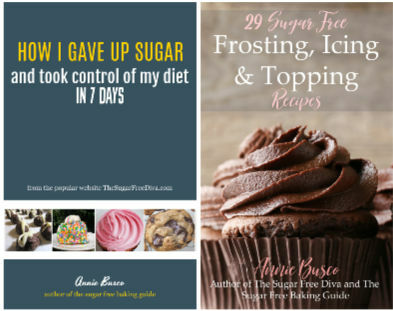 Sugar Alternative- 1 cup equivalent to sugar (see post for details). All Purpose (AP) Flour- 3 1/2 cups (can sub in equivalent in low carb or gluten free similar product). Optional- melted chocolate or other option for topping cookie with. I said this would be an easy cookie to make and I meant it. When ready to bake, preheat your oven to 350 and prep your cookie pans. I use parchment paper on my pans. Using a mixing bowl, cream together your softened butter and sugar alternative. Then stir in your vanilla extract. You can refrigerate your cookie dough by wrapping it in plastic. Refrigerated dough usually responds better for cookie cutters so it could be a good idea to roll out the dough then wrap it in plastic and refrigerate. If you are using a cookie gun/press split the dough in half and refrigerate one half while you work with the other. This will prevent it from getting too soft for use. Bake for 12-15 minuted for smaller cookies and up to 18 -20 minutes for larger cookies. The smaller cookies are generally the pressed cookies that are in shapes. The larger cookies are usually the hand-formed cookies that are thicker 1/2″+. You will know that your cookie is done when the edges begin to brown. Allow the cookies to cool before topping. 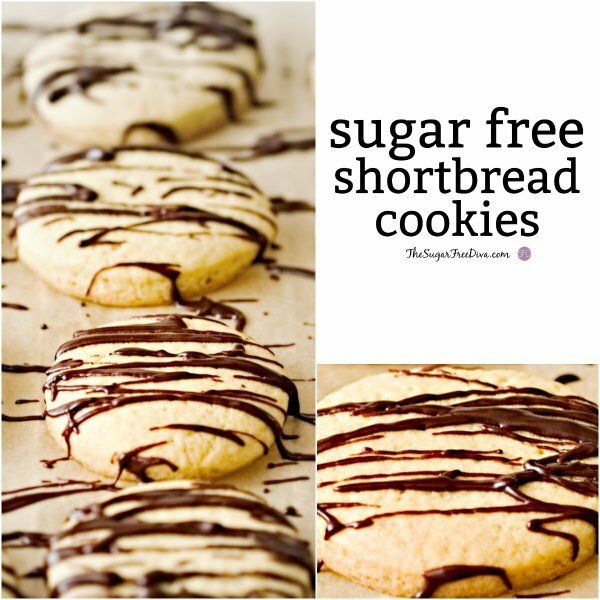 A favorite cookie especially during the holiday season, The shortbread cookie can be made sugar free as well as low carb or gluten free. Softened Butter- 3 sticks 3/4 lb. If using salted butter, omit the salt listed in this recipe. Use 3/4 lb equivalent in vegan alternative. Sugar Alternative- 1 cup equivalent to sugar see post for details. All Purpose AP Flour- 3 1/2 cups (can sub in equivalent in low carb or gluten free similar product). Salt- 1/2 teaspoon omit if using salted butter. Bake for 12-15 minuted for smaller cookies and up to 18 -20 minutes for larger cookies. The smaller cookies are generally the pressed cookies that are in shapes. The larger cookies are usually the hand-formed cookies that are thicker 1/2"+. You will know that your cookie is done when the edges begin to brown. 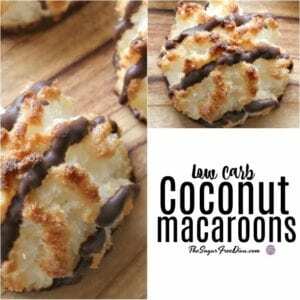 See post for ingredient options such as gluten free or low carb.